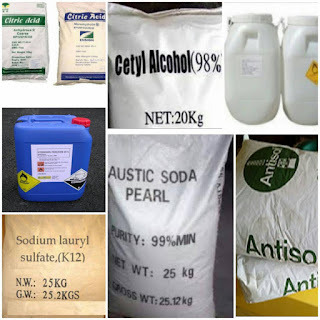 Do you need chemical to make liquid soap, vaseline, izal, dettol, candle and many more. Do you want it immediately, like right now especially in Nigeria. Then you have the right source! 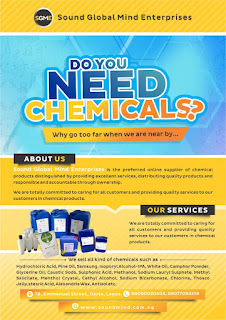 Sound Global Mind Enterprises, the No.1 supplier of all kinds of chemical in Lagos State, Nigeria is here to make your safe supply of chemical effective. 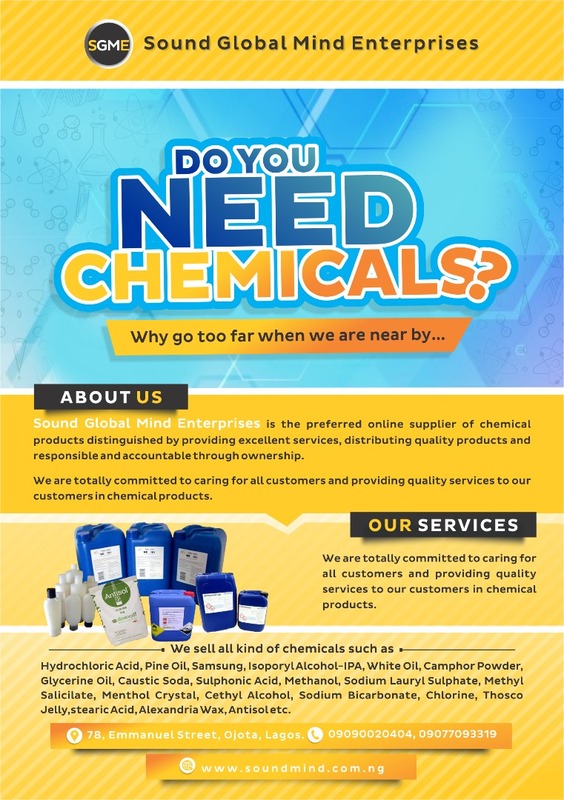 They are the most preferred online supplier of Chemicals and well trusted by customers to provide excellent services, the distribution of quality products and proper accountability through ownership, which is rare in business today. 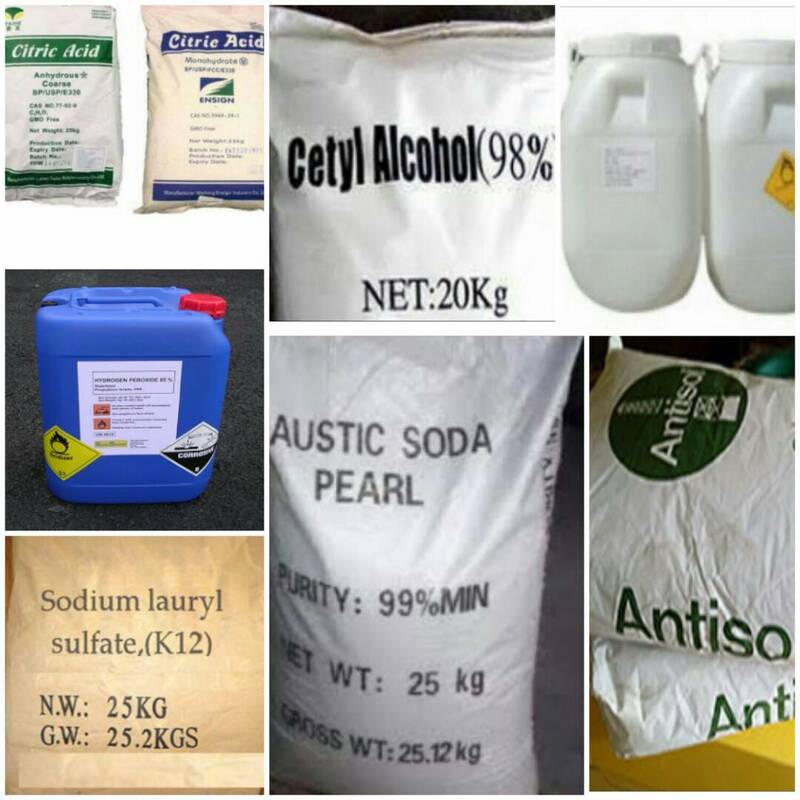 They deal with and supply chemicals like Samsung, Hydrochloric acid, Pine oil, White oil, Isoporyl Alcohol-IPA, Camphor powder, Glycerine oil, Caustic soda, Sulphonic acid, Methanol, Sodium Lauryl Sulphate, Methyl Salicilate, Menthol crystal, Cethyl alcohol, Sodium bicarbonate, Chlorine, Thosco jelly, Stearic acid, Alexandria wax, Antisol, and much more.